We’ve got more people-related shapes for you today! 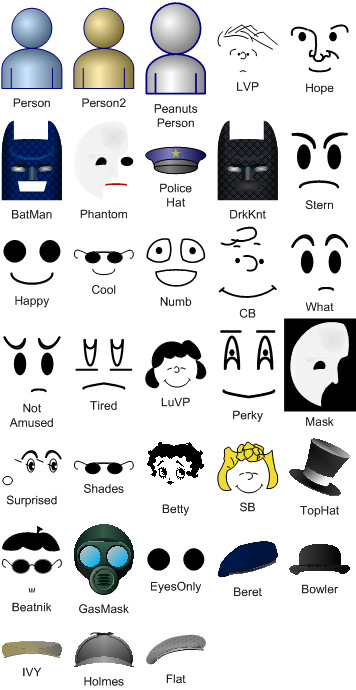 The traffic on the other Visio people shape posts has been quite good, so we thought we’d help you add some character and emotion to your diagrams with a brand new set of face shapes! If you’ve been following Visio Guy for a while, you might have seen the previous posts about Visio People shapes. While you might like the generic-ness and simplicity of those shapes, you might also have the need to add a little more spirit to them. 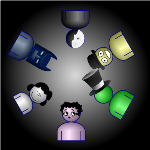 Well, Wapperdude, whom you might recognize as the creator of the Visio Microphone Shape, has augmented the original people shapes with faces that you can glue to the original “pawn” people. Using the technique that the original shapes use to attach hats to the figures, he has created a set of 30 faces and hats. You might recognize some of them! I threw in the “Peanuts Person” which has an oversized head that works better with some of the comic-related faces. First and foremost, I hope you enjoy these shapes. But I also hope you can put them to good use. Maybe they could actually augment a business-process diagram, or a merger and acquisitions plan. 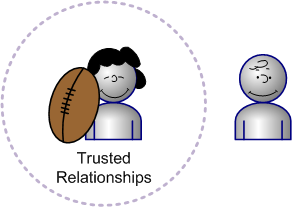 Trusted relationships??? Part of a merger deal? Ha! I love it! Chris, you do know how to polish a presentation! Let the fun begin. I forgot to mention that I find the GasMask morbidly wonderful. I’m starting to like this site. Thanks for all the tips! If you are copying images (png, bmp, jpg, gif, etc.) from a Google image search, there is nothing to ungroup. Those are images and basically collections of colored dots. 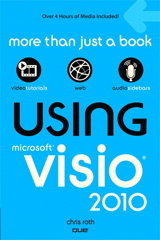 You can use images in Visio, but they may be a bit fuzzy if they don’t have a high resolution. Also, they tend to be rectangular – which might be ok if the background is white. If you look for SVG files on the internet, those can be imported and ungrouped inside of Visio.